ThioLogics is developing a groundbreaking technology platform that will enable the homogeneous modification of native proteins. ThioLogics has developed a groundbreaking site-specific conjugation platform that will enable the assembly of the next generation of Biologics. Our groundbreaking conjugation platform allows the selective, stable, functional modification of disulfide bonds or free cysteine in proteins and peptides. Technology that will allow versatile modification of proteins to yield well-defined, homogeneous products is highly desirable. 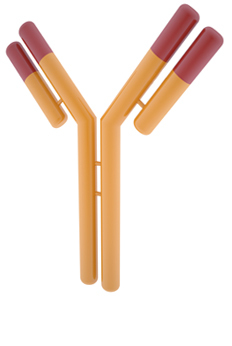 In particular, it has been demonstrated that homogeneous antibody-drug conjugates (ADCs) have a greatly improved therapeutic index over analogous heterogeneous formulations. Introducing greater homogeneity into protein conjugates will also greatly simplify process and development issues, thus reducing costs. The ThioLogics conjugation platform is being exemplified for a range of modalities across the biologics sector. These include: (i) peptide and protein therapeutics, (ii) the creation of stable and simple to manufacture bispecific antibodies, and (iii) the development of stable and homogenous antibody-drug conjugates for full antibodies and antibody fragments.